Asylum: What You Need to Know. You must be very careful to get it right the first time. Central Florida Immigration attorney > news > Asylum: What You Need to Know. You must be very careful to get it right the first time. Filing a basic asylum application can be simple; however, understanding the complex consequences of your answers will likely determine the fate of your asylum case from the outset. If you misstate a simple fact in your original application and you wish to correct it at a later time, immigration authorities are likely to accuse you of lying on your asylum application. Many immigration “notaries” or questionable processes can help you complete the required forms, sometimes at an exorbitant cost, but they are seldom competent enough to warn you about the dire consequences of not analyzing every legal aspect of your asylum application. Sometime notaries charge for simple forms, even though they are well aware that the government provides these forms at no cost. If you are considering filing for asylum, it is immensely important that you understand the overall asylum process to avoid being steered down the wrong path. To apply for political asylum, immigrants must show that they would be at a significant risk of severe harm if they return to their home country. Asylum may be granted to immigrants who have a well-founded fear of persecution on account of their race, religion, nationality, ethnicity, political opinion, or membership in a particular social group. 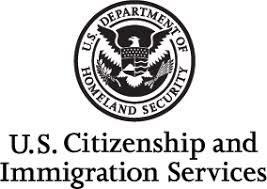 Subject to a few exceptions, you must apply for asylum within the first year of your arrival to the United States. If you meet the above basic requirements, filing for asylum may seem like a simple enough process. However, legal language and terms of art like “particular social group,” “political opinion” and “persecution” result in the overwhelming majority of major circuit court decisions, as judges and legal scholars regularly fight about the meaning of these concepts. Attorneys must be well versed in these legal precedents, reading case law monthly, to successfully litigate most asylum claims. In addition, the U.S. asylum system is bogged-down by extreme backlogs. Asylum cases are presently taking 3-5 years, depending upon where you reside, and many of them will be forwarded to the Immigration Courts to await a final hearing for another 2-4 years. It is important to understand these delays from the outset and be prepared for the challenges they present. In most cases, your case will proceed in three phases. First, you will file a basic asylum application before U.S. immigration authorities. You will be scheduled for a bio metrics appointment and issued a receipt notice, indicating your case is pending. After this, you will generally be able to file for a work permit at the 1150-day (?) mark after your case is received. Second, after approximately 3-5 years, in most cases, you will be scheduled for an asylum interview. At this time, you will have to establish that the reasons you filed for asylum, and the dangers you alleged in your application continue to exist. You will also be required to show that the dangers exist through the country you fled. If the officer finds your testimony credible, he may approve your application. If the officer finds your application lacks credibility, he will likely schedule you for a follow-up appointment to receive a written decision. Third, if the officer finds that he is unable to approve your asylum case and your authorized period of stay has expired, U.S. asylum laws require that the officer forward your case to the U.S. immigration Courts while issuing a “Notice to Appear.” This document will charge you with being subject to removal from the United States. At this point, it may take another 1-3 years for you to have your final hearing in Immigration Court. You will have to update your entire application and prove the ongoing risk of you being persecuted if you are returned abroad. If you are not successful in proving your asylum case in Immigration Court, the U.S. Immigration Judge will issue a removal order against you. The point is that a failure to thoroughly vet every answer on your asylum application could result in your life being placed on hold for nearly a decade, while you go through an extremely slow administrative asylum process. Meanwhile, children grow and your ties to the United States become ever more complicated. If you think you are eligible for political asylum in the United States, call an experienced attorney to consider the long-term implications of completing an asylum application.